First of all, OMG IT'S MARCH ALREADY!!! Secondly, I can't believe how oblivious I am to upcoming new releases. I had to look up trailers for almost all of these because I knew little to nothing about them. And I really wouldn't have minded staying in the dark. The "revamping" of our beloved fairytales over the last few years hasn't once proven to have been a good thing. Despite the above average cast, I don't see Jack changing that. 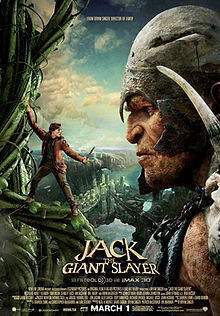 It looks like another retelling infused with more subplots and action to drag the whole thing out far longer than it needs to be for a children's story, but in no way for children at all. I'll just read the story to my kids instead...and eventually check this out on dvd. Something about a Soviet submarine during the Cold War loosely based on a true story, blah, blah, blah...I just saw K-19: The Widowmaker, thanks. 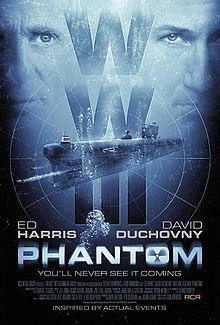 Therefore, I've filled my Russian Cold War Sub Film quota for awhile. Oh, and this just looks bad. At least they're not butchering the Russian accent (ahem, Mr. Ford and Mr. Neeson). 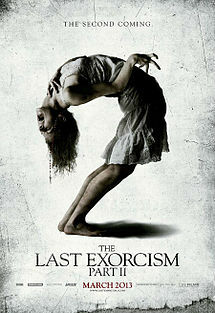 I don't watch exorcism films, but if I did I'd still mock this one for being the sequel to a "last" anything. Seriously, if you know you're going to make a sequel, don't put "last" in the title. It opens you up to a world of ridicule. It's still the last exorcism...just the second part. ...but there's no excuse for Final Fantasy II (through 17 or whatever they're up to now) or I Still Know What You Did Last Summer (which was really 2 summers ago). The Last Exorcism...continued. How long does an exorcism take? You nailed it with I STILL Know What You Did Last Summer. Ridiculous title.